Post 46' Convertible 1988 | "Captain Kidd II"
46' Post Convertible 1988 "Captain Kidd II"
The 46 features clean lines and a straightforward arrangement. With nearly 16 feet in beam and the streamlined tackle center on the forward bulkhead, including a recessed bridge ladder. the cockpit provides ample space for a fishing crew. Inside, Post provides the appointments and accessories that you would expect, including an entertainment center, dinette with storage underneath. He owners have updated her with modern furniture with the proper period look at feel. Teak woodwork is found throughout the galley-down arrangement, as is ample storage. A queen-size master stateroom lies forward w/private head, while an over/under to starboard houses guests or crew w/private head. This a two stateroom two head layout. She features new electronics as of 2018 and new isinglass as of 2017. This is turn key in every way. The bottom was completely redone in 2017 and shows as a new bottom. 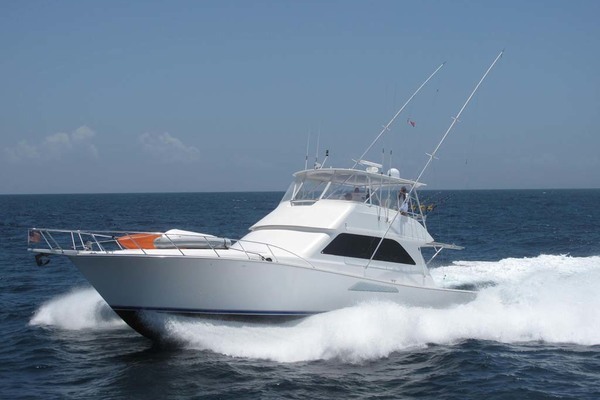 This boat is fished by an experienced crew who knows how to maintain a proper yacht. 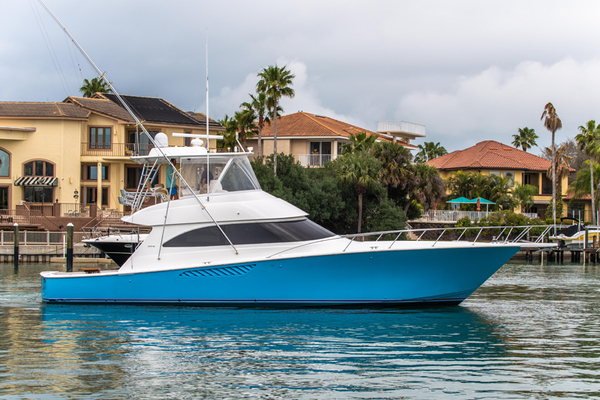 West Florida Yachts would love to guide you through a personal showing of this 46' Post Convertible 1988. 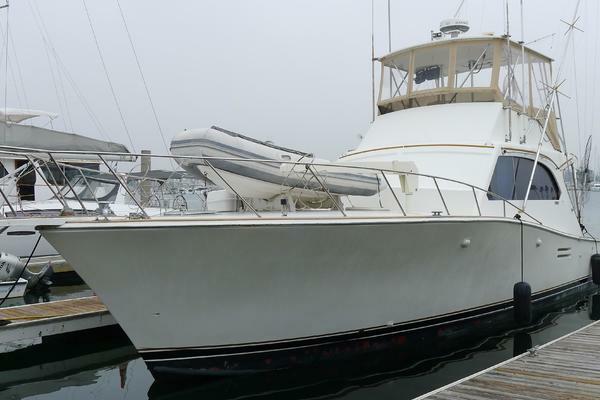 This yacht for sale is located in Destin, Florida and priced at $130,000. For a showing please contact us by filling out the form on this page and we will get back to you shortly!